After a thrilling ODI victory, India looking forward to clinching the T20 match on 9th July 2017. We have all the updates and news about the game here. Sabina Park will host the game on Sunday. The coverage starts at 9 PM IST. Chris Gayle is back in West Indies squad. You can find full lineups and prediction of both teams below. Ten 1 HD, Ten 3, Sony SIX and Sony SIX HD are the official broadcasters of today’s match. 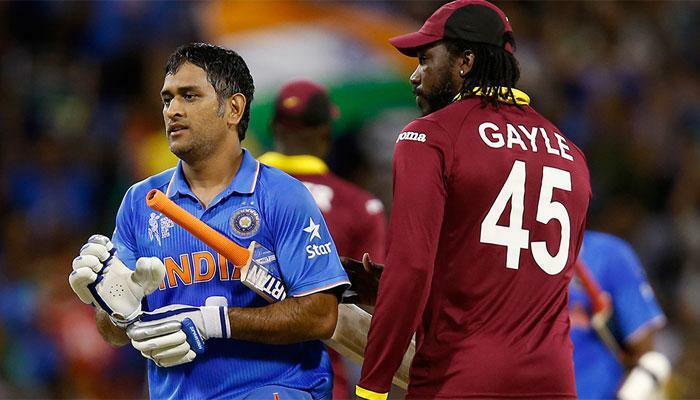 Let’s check out more details about India vs. West Indies game below. Let’s have a quick preview of the event here. The game starts at 8 PM Indian time. Sony Six, Sony Six HD, Ten 1 HD and Ten three will telecast the match worldwide. Let’s check out full team lineups of both teams for T20 match below. Virat Kohli (capt), Shikhar Dhawan, Ajinkya Rahane, Mahendra Singh Dhoni (wk), Yuvraj Singh, Kedar Jadhav, Hardik Pandya, Rishabh Pant, Ravindra Jadeja, Ravichandran Ashwin, Kuldeep Yadav, Bhuvneshwar Kumar, Umesh Yadav, Dinesh Karthik, Mohammed Shami. Note: These are predicted lineups and final lineups will be updated right after the Toss. Stay tuned. Can Chris Gayle do it for West Indies? It’s time for a prediction. India in full confidence after winning the ODIs and West Indies have full support on their home ground, and it’s difficult to predict. Still, India has a good chance to win today. You can comment down your prediction through comments below.